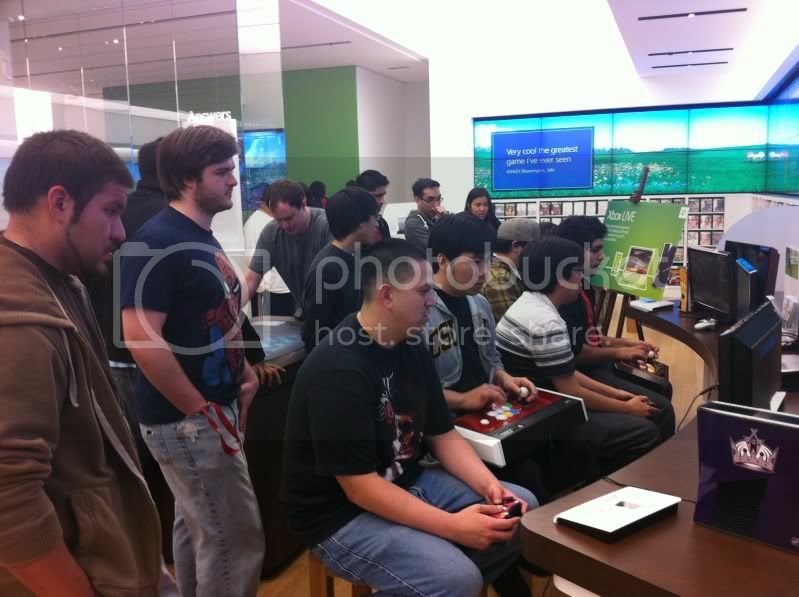 Level|Up x Microsoft Store MK Launch Tournament Results! Mortal Kombat fans made the trip all the way to the new Microsoft Store in Costa Mesa for the launch tournament event on April 18, 2011. Many Weds Night Fight regulars dropped by and and some from TestYourMight.com! Thanks to the Microsoft Store for letting us have this great event! 1st – Richard Nguyen – Retail copy of Mortal Kombat! 2nd – KrayzieBone – $25 MS Store Credit! 3rd – Rip – 1600 MS Points!